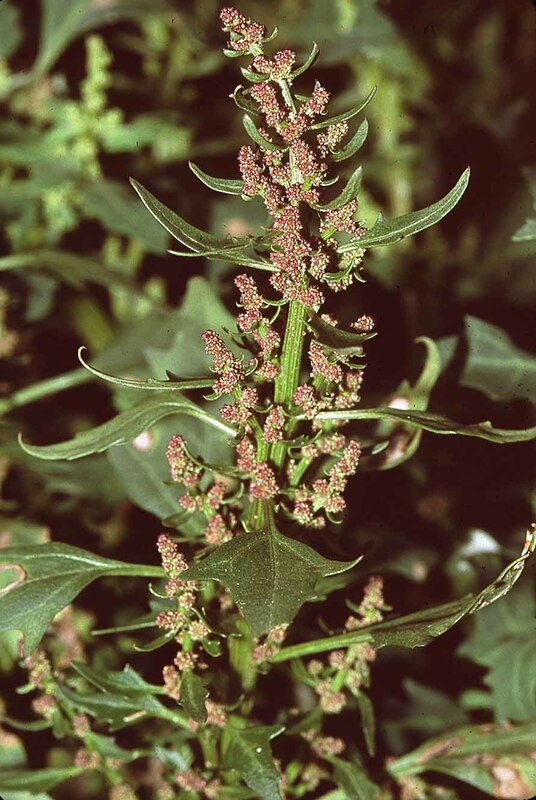 Chenopodium rubrum. plant in bloom. en.wikipedia.org (Accessed 1/2018). Chenopodium rubrum is an annual C3 herb (Jacobs 2001), branched from base, prostrate to erect, ca 40 cm tall (NYS Rare plant status: S2 T). Leaves alternate, ca 6 cm long, egg-shaped, surface often tinged with red, base wedge-shaped, margin with a few broad teeth, becoming red late in season. 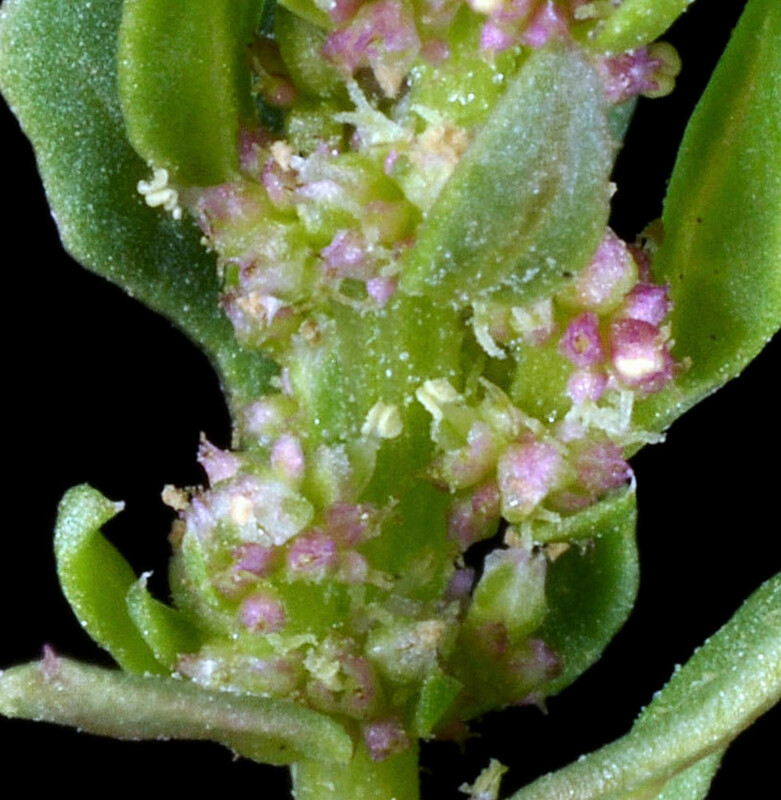 Chenopodium rubrum flowers. Copyright © 2018 Gerry Carr. Oregon Flora Image Project – www.botany.hawaii.edu. New England Wild Flower Society. gobotany.newenglandwild.org (Accessed 1/2018). Flowers tiny, green tinged with red, all red at maturity, in spikes of small rounded clusters, in axils of small bract-like leaves; Aug.-Nov. Frequency in NYC: Very infrequent. More likely extirpated. Origin: Native status uncertain (Mitchell and Tucker 1997). Habitat: Along shores, salt marsh edges. Soil pH: 6-8.5.